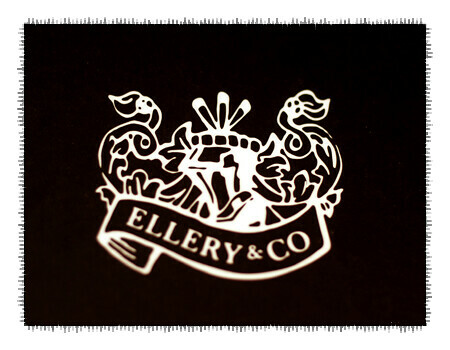 After having enjoyed many a waffle we thought it time to try out the dinner options at Ellery & Co. 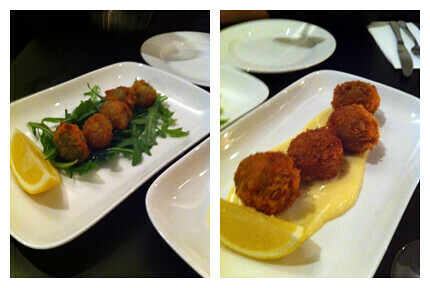 Stuffed Olives (left) and Fontina and Rosemary Arancini (right). 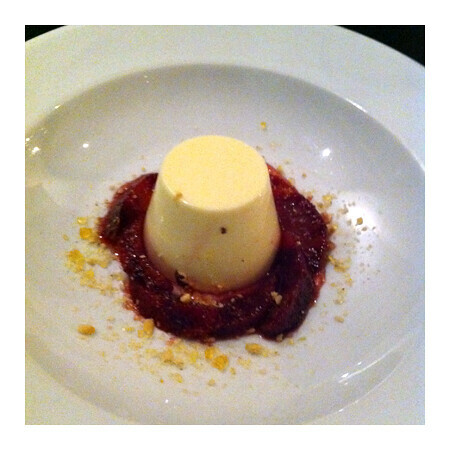 The olives are stuffed with minced pork, lovely crisp coating and arrive hot from the kitchen. Excellent. Arancini are wonderfully creamy, good restrained use of rosemary so that it fragrances and not overpowers the dish. 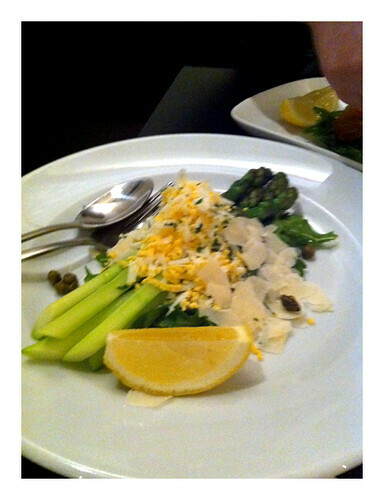 Steamed Asparagus topped with a combination of shredded hard boiled eggs, parmesan and capers in a vinegar dressing - a version of sauce gribiche. 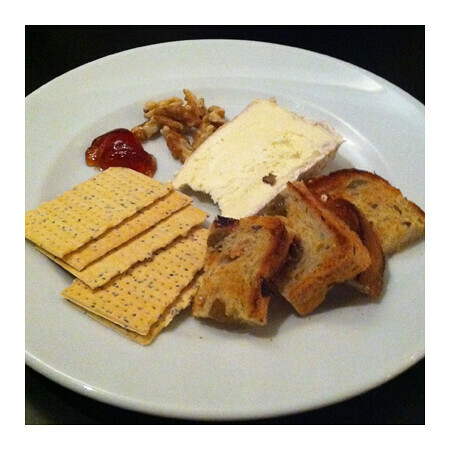 A delicious match to the perfectly cooked asparagus. 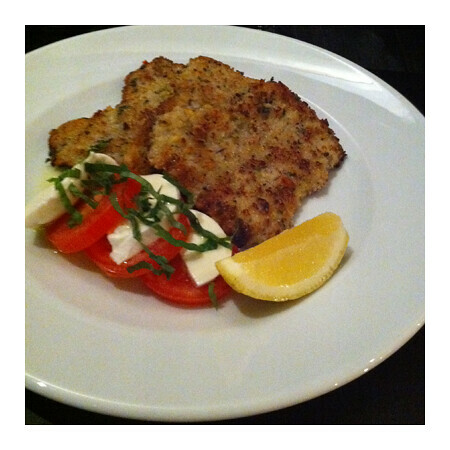 Veal schnitzel with caprese salad - simple but well made. 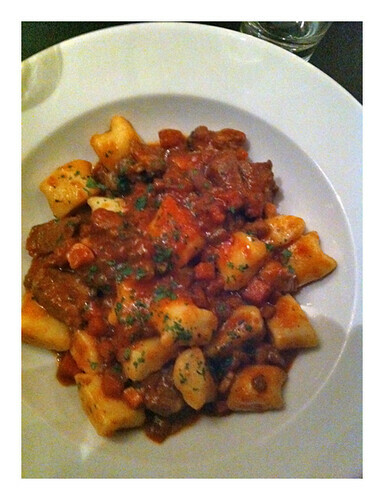 Potato Gnocchi with Beef Ragu - the gnocchi weren't quite as tender as our lunch time versions but they were still quite good.